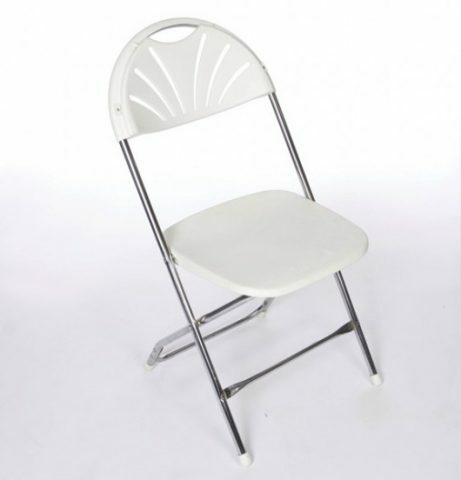 Edmonton Bouncy Castle now provides folding commercial grade chairs for your event. Our chairs are chrome, white and have a fan back design (as shown in picture). Please change number of chairs in shopping cart from one to desired number.